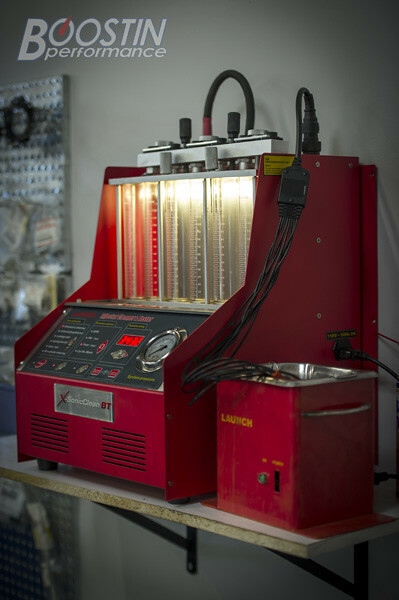 GET YOU INJECTORS CLEANED & TESTED! Fuel injectors clog when deposits build up over time. When this happens, the injectors don't properly atomize the fuel, which can cause loss of engine performance, lower fuel economy, and possible engine damage. The type of fuel you are using can also be a factor. Since E-85 and Ethanol-based fuels are more corrosive, they break down any material which is not compatible. This can end up traveling through your entire fuel system. If you run E-85 in your vehicle, or store your vehicle for an extended amount of time, we recommend that you get your injectors cleaned at least 2-3 times a year, or more often depending on how long you run your car on certain fuels. Failure to do so will result in clogged injectors, making it difficult to get your vehicle started, or running properly. 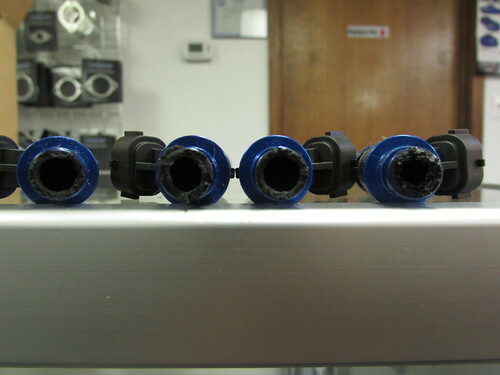 To prevent this from happening, we offer injector cleaning services in-house!! Last edited by Boostin Perform; Apr 13, 2017 at 02:35 PM. Take advantage of our spring time special! Take advantage of this special pricing. Ends 5/12! Last edited by Boostin Perform; May 8, 2017 at 08:43 AM. ***This is the last week of our injector cleaning special. Take advantage of our special pricing while it lasts!